Phone survey software is used extensively in business and the product lifecycle for phone surveys starting with a phone poll to discover what their customers want, a marketing campaign to tell customers about their new product, and customer satisfaction survey to make sure that the new product is meeting the customer’s needs and whether any improvements need to be made. Newfies-Dialer provides voice broadcasting services which allow anyone to easily and quickly build any kind of phone survey with a bespoke IVR using the flexible yet simple IVR builder included in our phone survey software. To use Newfies-Dialer phone survey software, a survey is created using the IVR builder, the survey software allows you to create IVR menus which can be many levels deep, with special function survey nodes for capturing digits, making recordings, or transferring the call to a live agent. 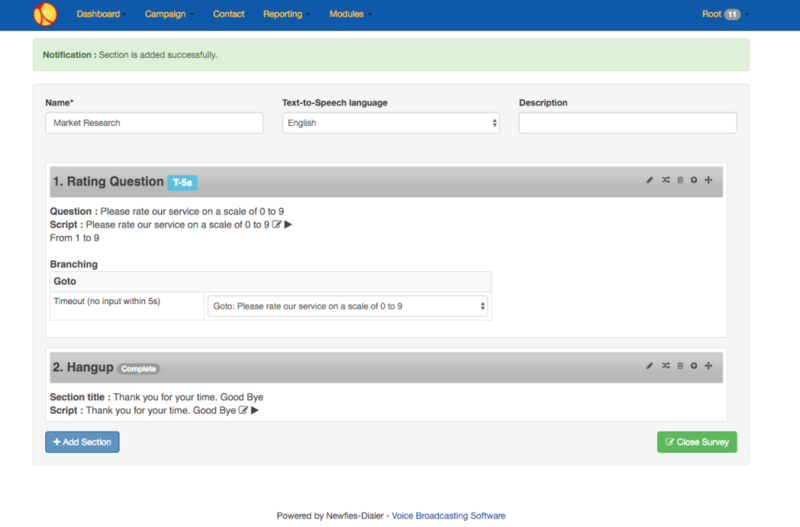 Once the IVR is built, then a contact list can be uploaded from a text file, or a programmer could use the APIs supplied with the Newfies-Dialer phone survey software to automatically upload contacts from your in-house contact management software. 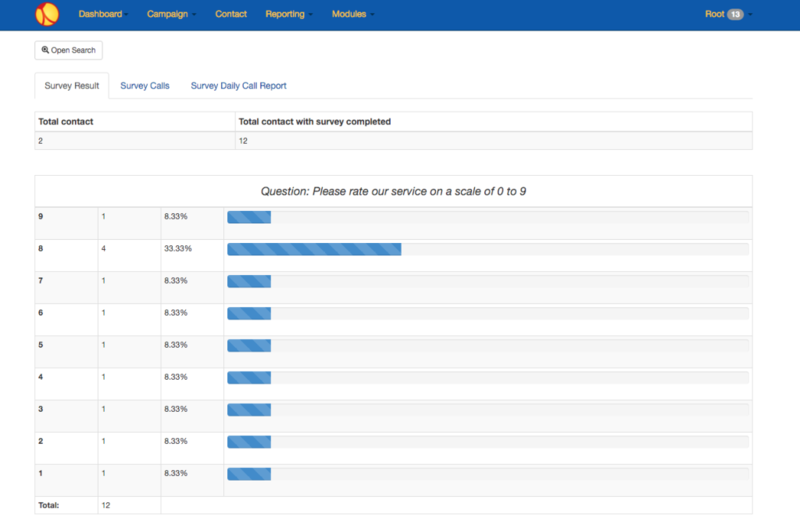 Finally, the phone survey is launched as a campaign with parameters such as the speed to send out the phone survey. How many times to retry unanswered numbers, and also to ring back those people who did not complete the survey to the end. Newfies-Dialer phone survey software also includes Answering Machine Detection software so that different messages can be left on answering machines, or simply hang-up if an answering machine is detected. To learn more about Newfies-Dialer’s voice broadcasting services, both rented and on premises, with prices to suit small businesses right up to large scale systems handling thousands of concurrent calls, please see http://www.newfies-dialer.org/pricing/ for more information.